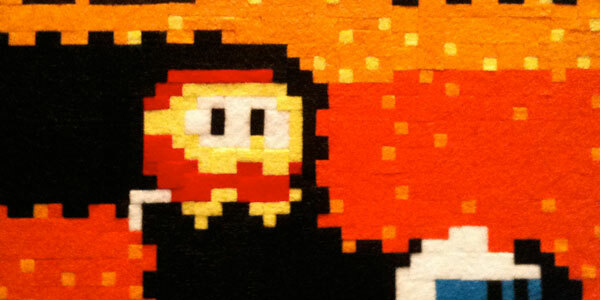 New algorithm turns 8-bit pixel art into silky smooth vectors. 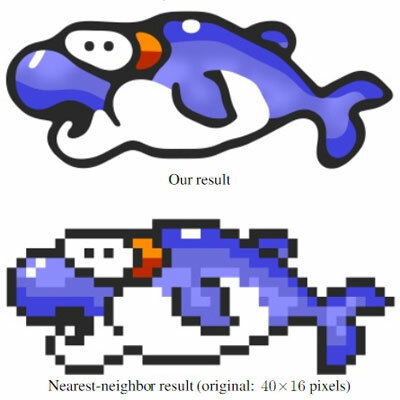 Fascinating research from Microsoft’s Johannes Kopf and Dani Lischinski of The Hebrew University has produced an algorithm that is remarkably good at turning 8-bit pixel art into shaded, smooth vector art, Popular Science reports. The “depixelizing” algorithm, as detailed in this research paper, has shown a great deal of promise. It’s capable of determining the curve lines from single diagonally connected pixels, and the shading is quite natural and effective. There are problems that prevent this algorithm being used wholesale to update older Nintendo games and their contemporaries. It always smooths images out in a curvaceous manner, giving even the dastardly Space Invaders a Hello Kitty appeal. Perhaps with a similar algorithm that outputs sharper vectors, nostalgists can make conversions on a sprite-by-sprite basis.